Located on the shores of Frenchman’s Bay, just minutes from downtown Pickering, San Francisco by the Bay has attracted new homebuyers with its laidback west coast vibe and resort style living. The successful master-planned community by Chestnut Hill Developments has nearly sold out of its first two phases and will soon be launching the third phase this fall. SF3 Condominiums marks the final chapter of the community and will offer a great selection of homes with spectacular lake views and luxurious amenities. Prospective homebuyers can visit sf3condos.com to register for the latest updates and to be the first to know when sales launch. Priced from $199,900, SF3 offers one of the best values in the Greater Toronto Area. 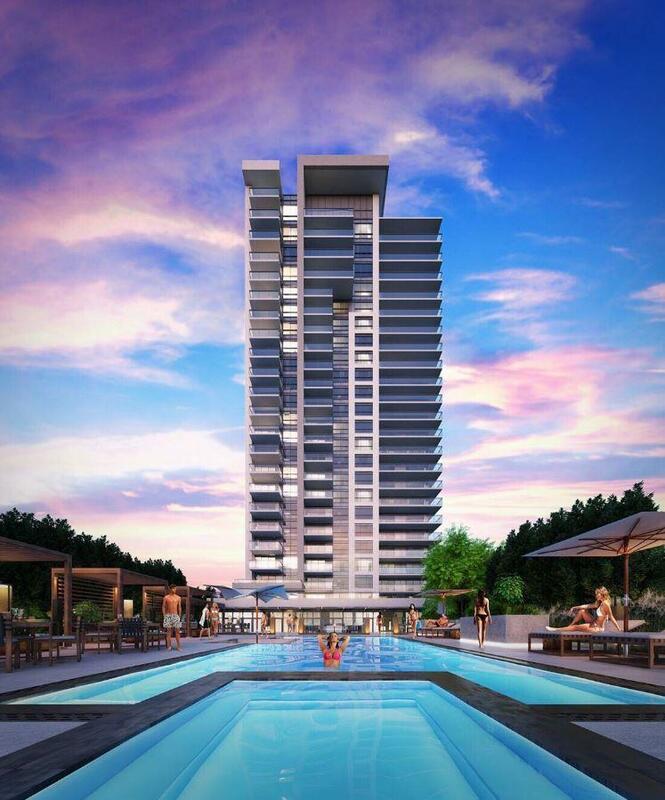 In addition to spacious suites with waterfront views, residents will have access to a wealth of resort-style amenities right in their own backyard. The light-filled, zen-like lobby makes a great first impression with its natural wood, stone textures and warm accents. Polished and scraped stone surfaces flow from the concierge area into two seating lounges with designer furniture and a stunning free form branch-like chandelier. When it comes to entertaining, the spacious party room provides the perfect place to host large gatherings or intimate get-togethers. It also opens out to an expansive pool area complete with barbecues, dining areas, private cabanas and umbrellas. More amenities are just a hop, skip and a jump away. Outdoor enthusiasts have a plethora of parks, trails and conservation areas to explore including Rotary Frenchman’s Bay West Park — home to sand dunes, barrier beach, meadows and some of the region’s best surfing and kite boarding. Another natural hot spot is the Petticoat Creek Conservation Area. Located off Whites Road, the 70 hectare park offers an abundance of walking and cycling paths, picnic areas and views of the Scarborough Bluffs. It even houses an aquatic entertainment facility with a 750 person capacity swimming area and splash pad! For those who prefer to stay indoors, the newly renovated Pickering Town Centre is the ideal place to indulge in some shopping. It has over 200 brand name stores, restaurants, and services like H&M, Famous Players Theatres and Moxie’s Bar & Grill all just a quick five minute drive away. For more day-to-day needs, residents can visit the convenience retailers situated along Bayly Street or head over to nearby Kingston Road where they’ll find pharmacies, banks, Loblaws and an LCBO. Finally, those who do need to commute will benefit from convenient access to major thoroughfares and public transportation options including Highway 401, Kingston Road and the Pickering GO Station. For more information, visit sf3condos.com to register.